PAW | What Does PAW Mean? 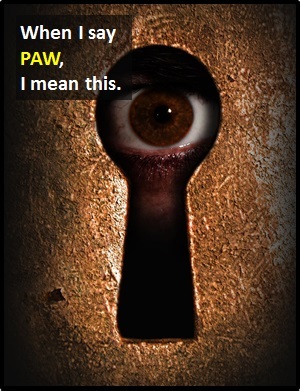 PAW means "Parents are watching". This image shows a parent spying through a keyhole.